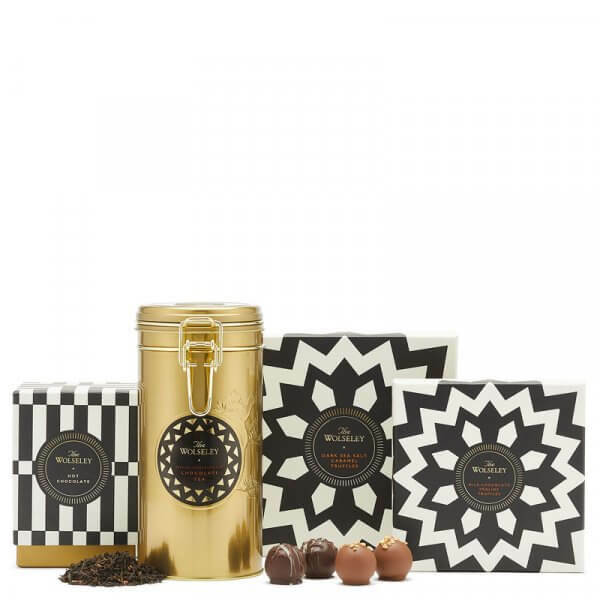 This popular gift set is an exquisite celebration of fine British chocolate. Choose, if you can, between our Milk Chocolate Praline Truffles, Dark Sea Salt Caramel Truffles or our classic Hot Chocolate made from pure chocolate flakes. Or, for the adventurous tea drinker, indulge in our unique Chocolate Tea – a velvety rich blend of Indian Assam and Chinese Yunnan black loose leaf teas, delicately combined with Peruvian cocoa nibs and Madagascan vanilla.